Agree or disagree? 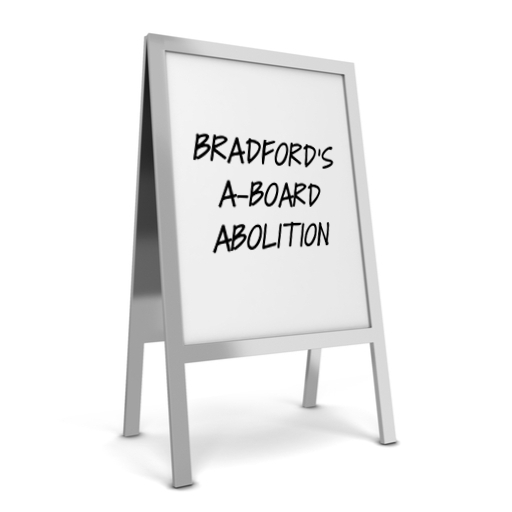 What do you think of Bradford City Council’s decision on A-boards? Image by Montego (via Shutterstock). We at SignFX see A-boards as an effective form of outdoor advertising. They drive customers to your shop when placed on your forecourt. It gives them the impression you are open for business. They are designed to inform and advertise. Haven’t the last fortnight’s set of events been awful? With this in mind, there has never been a better time for something lighthearted. In our business of ours, we deal with goodness knows how many shop signs. Some prosaic, some lighthearted. 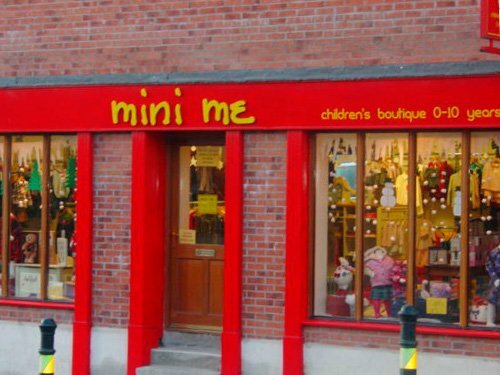 In our latest post, we have decided to celebrate the joy of wordplay and humour, through the eyes of retailers. Internet security image by DennisM2 (Public Domain). Digital signage is a great option for takeaways, railway stations, and advertising hoardings. Where visual information needs to be updated at short notice, they are a boon. If the Sallins and Naas train to Dublin is fifteen minutes late, that appears as soon as possible. In spite of the convenience, digital signage needs to be protected from viruses, spyware, and ransomware. 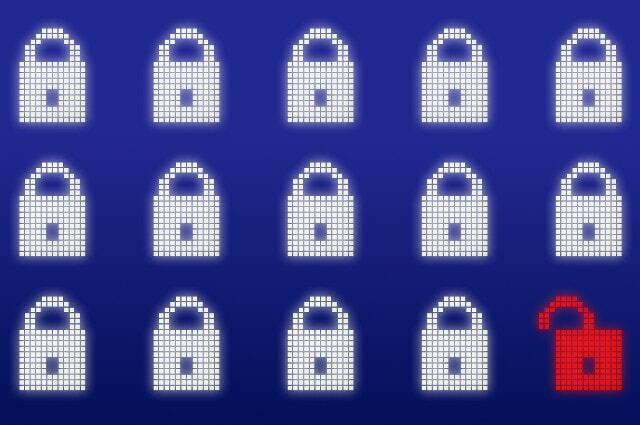 Internet security is just as important as keeping your customers informed. Digital Signage: The Next Big Thing? 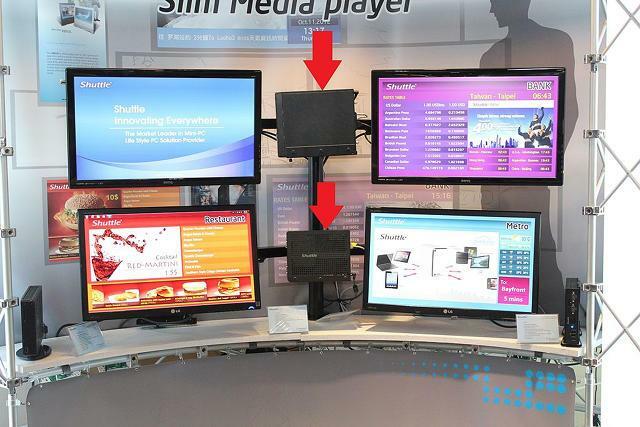 Could digital signage be getting its big break? If you take a train or jet off a lot, you would be familiar with the joys of digital displays. Usually, digital signage displays the arrivals and departures at your favoured railway station or airport. Or to peddle the latest ‘must-have’ gadgets, clothing, fragrances or cars. Today, similar technology is touted for use in corporate signage. Instead of the luxury goods you yearn for, they could display one or more versions of your company logo. Flexibility: Corrugated plastic has the same flexibility as corrugated cardboard though with its superior waterproofing abilities. Image by Peter Sobolev (via Shutterstock). Corriboard: what is corriboard may you ask? In a nutshell, it is a plastic version of corrugated cardboard. Corrugated plastic. It is made of recyclable polypropylene which makes the material good for one time use. 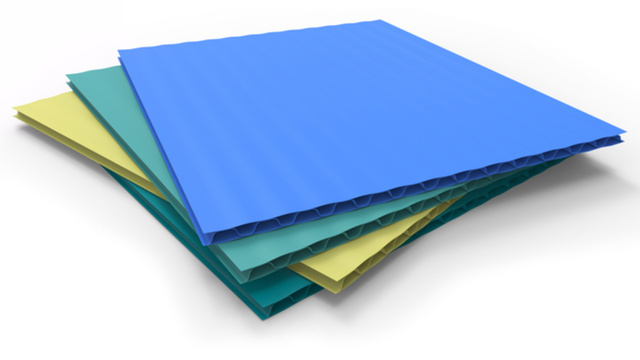 It also comes under a few other trade names; for example: Polyflute, Coroplast, FlutePlast, IntePro, Proplex, Correx, Twinplast, Corriflute or Corflute.